Description: Headphones are an integral audio gadget these days. Among the many brands that offer various headphones to the consumer public, Audio Technica headphones are considered world-class and superior. In this page I provide you with some useful background information about this brand. 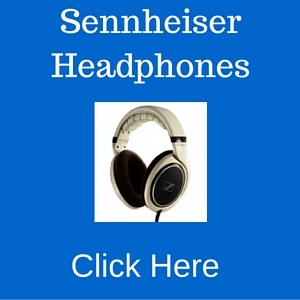 This will help you make an informed decision if you are looking into a high quality headphone with a descent price. There are days when you don’t want to share your music with the outside world. You just want to go in your own little world, with only music to keep you company. That’s what a good headphone is for. And for that, you may as well turn to Audio Technica. Audio Technica is a well-known brand in the audio industry. Founded in 1962 in Tokyo, it has grown into a worldwide conglomerate focusing on the design, manufacturing, and distribution of superior quality audio equipment. Their catalog includes wireless systems, microphones, mixers, and other similar electronic equipment. And that includes Audio Technica headphones. Audio Technica started manufacturing headphones back in 1974, and by 1978 their headphones were so good that they received awards such as the MITI Good Design Award. Along with their microphones, Audio Technica headphones were used in all the venues of the 1996 Atlanta Summer Olympic Games. The superior performance of the Audio Technica equipment in the 1996 games convinced the Olympic organizers to use Audio Technica microphone and headphones in the 2000 Summer Olympic Games. Audio Technica equipment were also used for the 2002 Salt Lake City Winter Games, as well as for the broadcasts of the 2004 Athens Summer Olympic Games, the 2006 Torino Winter Olympic Games, the 2008 Beijing Summer Olympic Games, and the 2012 London Summer Olympic Games. 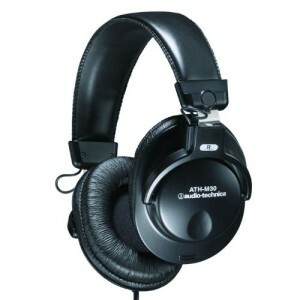 Over the years, rave Audio Technica headphone reviews have come from customers and professionals alike. Awards continue to be given to them as well. Portable headphones. These offer superior sound and comfort even while you’re on the go. Even runners and joggers find these headphones perfect for use. Hi-Fi headphones. These provide excellent sound quality. Sound quality is perhaps one of the most important factors in determining the best headphones, and these headphones are truly superior. Studio. These offer superb natural performance. If you are trying to record your own music in your studio, then these headphones are ideal for your needs. Active noise cancelling. These headphones prevent the intrusion of the outside world into your own private enjoyment. The only sound you will hear will be the sound coming only from the headphones. Headsets. Equipped with microphones, these headsets ideal for VoIP functions such as Skype. Whether you’ll use them professionally as a customer service specialist or as a regular home user talking to family and friends over the Internet, these headsets are just about perfect. DJ headphones. These are perfect for DJ in terms of performance and comfort. DJ need to hear the music they are planning to play, but the reverberating music coming from the club’s speakers can truly make it difficult. But these headphones solve these problems. Gaming. These headsets are truly best at immersing you in your virtual reality. You and your friends can coordinate and work together efficiently so that you can overcome the odds and triumph in your game. This model has received so many Audio Technica headphone reviews, and just about every one of them praises the model in glowing terms. The sound is truly crisp and clear, with the deep bass that purists look for. The earcups swivel for easy one-ear monitoring, and the design assures outstanding sound isolation. The materials used are all professional-grade, to provide the utmost comfort and durability. Due to a lot of questions I have got recently from my readers, I wrote a comprehensive review for both these models where I have compared them and clarified the differences and similarities. I have also recommended which one to buy and why. I highly recommend you to read the review by clicking on the link below. I guarantee after reading my post most of your questions will be answered so you can make a much more informed decision before you buy. This is the perfect tool for studio engineers, recording musicians, and for those recording music at home. Its clarity and accuracy is impressive, and it can handle high power typical in tracking sessions.It is very comfortable so that you can use for extended recording sessions, and it also offers excellent sound isolation. The noise cancelling features of this model are so superior that it received the Innovations 2010 Design and Engineering Award. 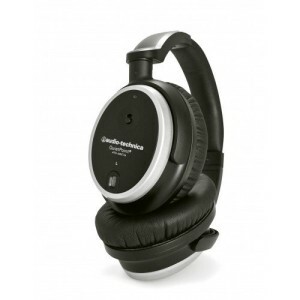 They work superbly with MP3 songs, CDs, and DVDs, along with Apple mobile devices.The noise cancelling features are fully integrated, and it only requires a single AAA battery. The audio works in passive mode, even without the battery. 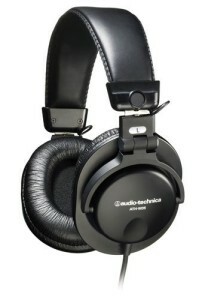 This headphone is very light and comfortable, and they fold for true portability. This model is suitable for studio tracking and mixing, as well as for field recording. They are portable, as they fold and are compact. The sound is balanced and crisp, the design is ergonomic and lightweight, and it handles power very nicely. How Much Can You Spend On Audio Technica Headphones? This depends greatly on where you will make your purchase. For the best prices, you would do well to head on out to Amazon. That’s where the lowest prices are, while the quality and the speed of the delivery are assured. As for the price range, what you will spend will of course also depend on the particular Audio Technica headphones you want to own. You may get something for as low as $20 (especially online), but the most expensive models may retail for more than a thousand dollars. To make sure you are getting your money’s worth, you should first determine precisely what you want to use the headphones for. Once you know this, then you can narrow down your options and find the best one for you. When it comes to any type of headphones, Audio Technica models are always candidates for the title of being the best. Is This the Right Brand for You? 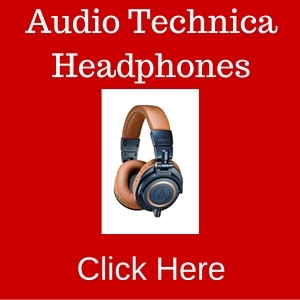 So are the Audio Technica headphones right for you? I have read probably hundreds of Audio Technica headphone reviews written by regular users and by audio experts and I own a couple of headphones in this Brand. 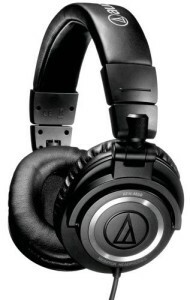 In my opinion, Audio Technica is definitely one of the most popular headphone brand out there. One thing they have achieved better than probably anyone else is to build headphones with best price / performance trade-off in mind. Their products are not the most pricey, trendy and expensive out there and at the same time, they delivery high quality. If you don’t have a big budget and still looking for quality and high performance, you definitely want to have the Audio Technica brand name on your list.